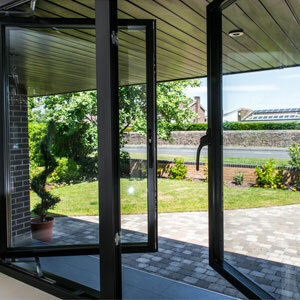 A-Rated Home Improvements install quality double glazing solutions throughout South Wales. With our head offices in Port Talbot we know the local area like the back of our hands. From Baglan to Margam, our knowledge of Port Talbot properties is second to none. Our installers are often working on projects across the area and they are passionate about improving the living standards of all our customers. Heavy industry is a prominent feature of Port Talbot’s landscape. The Port Talbot Steel Works provide jobs for more than 10% of the local population. The town has grown around the docks where iron ore and coal are imported for use at the nearby steelworks. Rows of terraced cottages make up Port Talbot town from the merging of several villages centred around Aberafan. From the traditional Victorian terraced houses close to Port Talbot centre to the nearby towns of Neath and Maesteg, we’re likely to have carried out an installation on a property near you. Our extensive local knowledge makes us the best to complete your home improvements with style and professionalism. Whether you live in a quaint cottage in Port Talbot centre or a country farmhouse near Cwmafan or Llangwynwyd, we’re sure to know exactly what your property needs. Our specialist knowledge makes us industry leaders when it comes to double glazing installations. At A-Rated Home Improvements we are committed to providing the best standard of work on all our installations. We use only the best quality products and all our installers are qualified and committed to their work. Open 6 days a week there is always a member of our team available to answer any of your questions.